I have worn corrective eyewear since I was a young boy and perhaps that is the reason why the optical industry always intrigued me. I know what it’s like not to be able to see well and this field allows me to help people achieve the best vision possible. 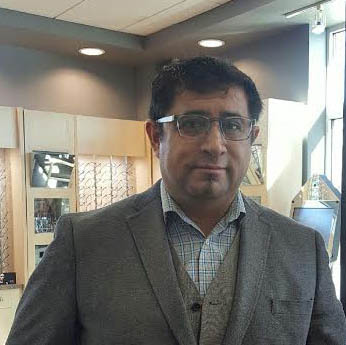 I found a home at Seven Bridges Eyecare because I agree 100% with Dr. Azzaro’s philosophy and for the first time in my career was given the opportunity to fit patients with the best products based on their needs without worry of corporate politics. Here at Seven Bridges we truly treat people like family and not just another number.